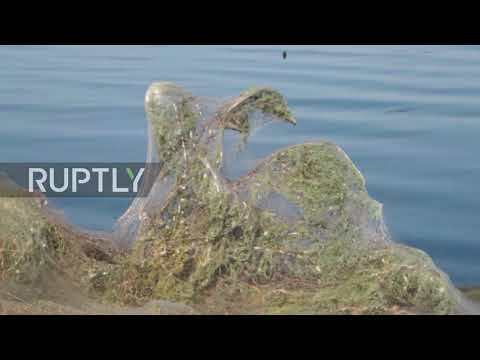 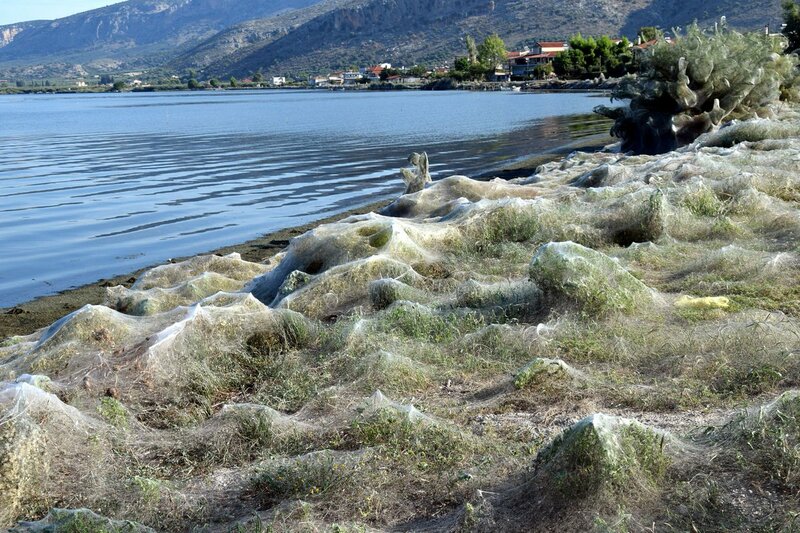 Thousands of spiders of the genus Tetragnatha have upholstered all the surrounding greenery of a lake in Greece to reproduce. 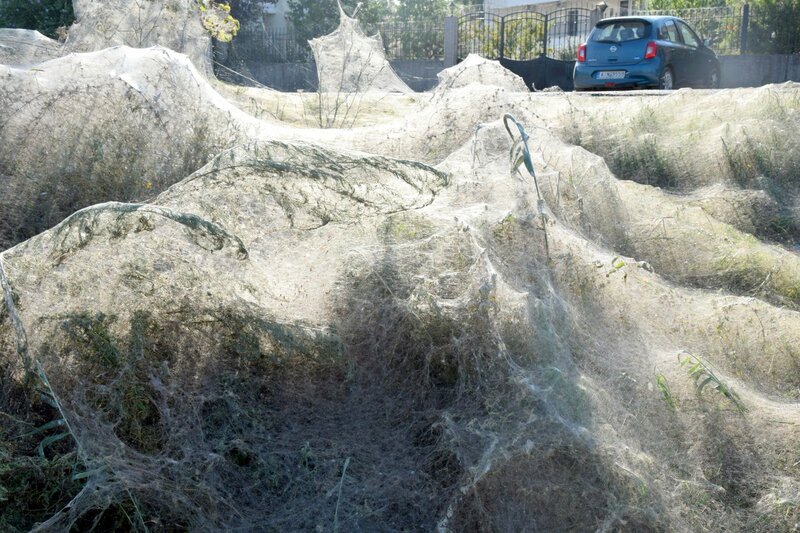 It is a seasonal phenomenon due to the population explosion of its prey, mosquitoes. 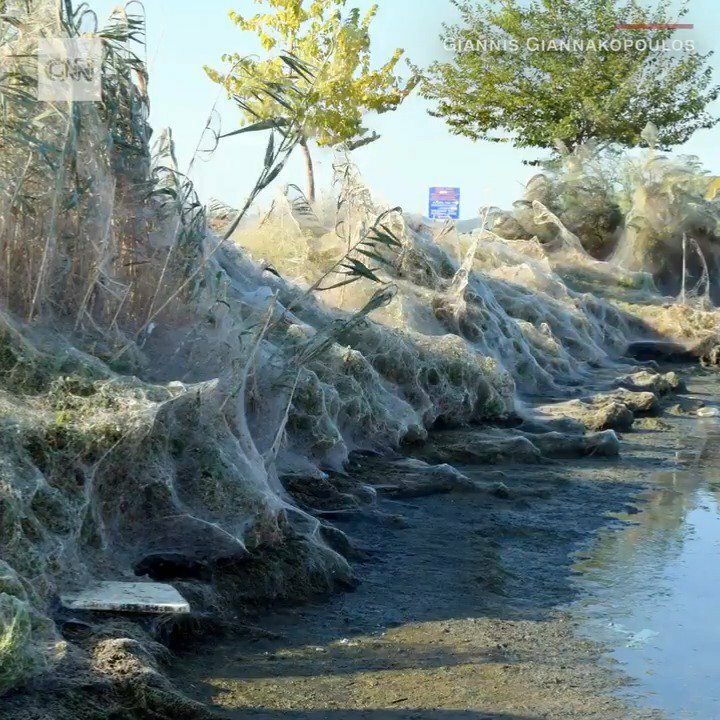 Spiders are fun! 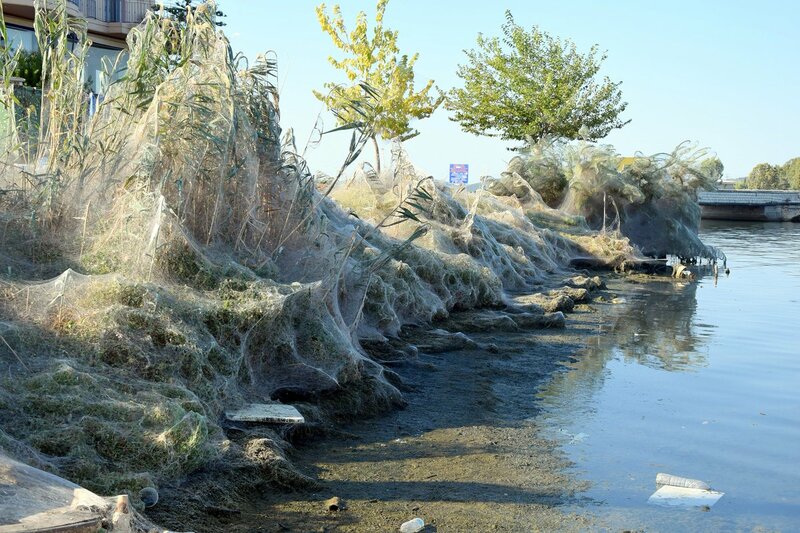 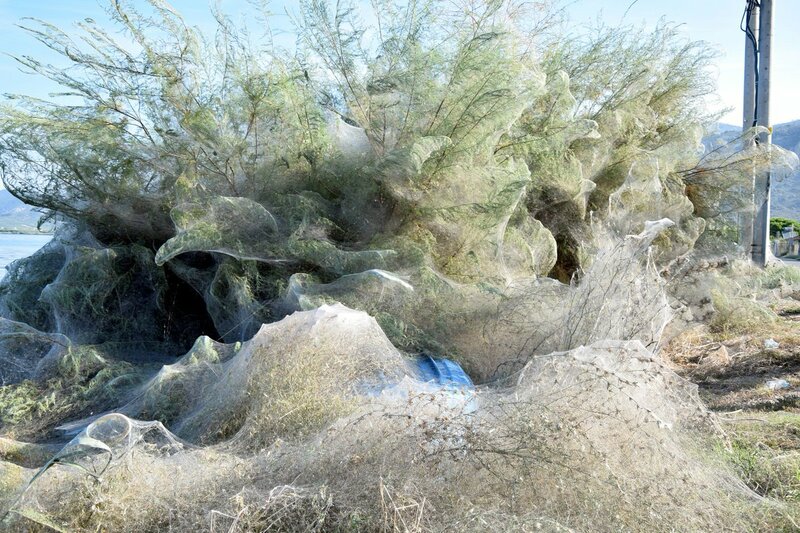 This a spiders nest in Greece.